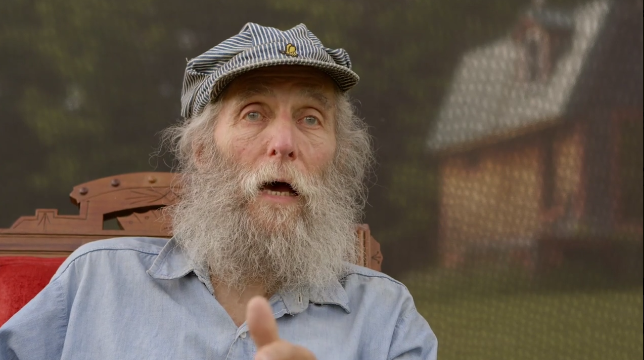 Burt’s Bees co-founder Burt Shavitz is the subject of the new documentary, Burt’s Buzz. For three decades, Burt Shavitz’s bearded face has graced the labels of Burt’s Bees products, but he hasn’t been part of the company that bears his name for 20 years. The reason for his exit is now being put in the spotlight thanks to a new documentary on the private man with the well-known face. Shavitz had been producing honey on his property in central Maine in the early ’80s when he met Burt’s Bees co-founder Roxanne Quimby. They began selling beeswax candles and then eventually the personal care products the company is now famous for. By 1994, the company had expanded far beyond its small-town beginnings and had expanded to the point where production relocated to North Carolina. At that time, Quimby bought out Shavitz’s portion of the company and he retreated to Maine where he still resides. While Burt’s anti-corporate leanings and desire to live a normal life have long been considered the reason for his departure, he now tells the makers of the documentary Burt’s Buzz that Quimby gave him the boot because he had an affair with a Burt’s Bees employee. And so he got some money — and his face continues to grace the products — but Burt wasn’t running the company anymore when Quimby sold the brand to Clorox in 2007; a sale that reportedly netted $300 million for Quimby.